Ever see a hunter all decked up in the hunting attire, holding a hunting rifle while meticulously eyeing an unsuspecting deer? Looks impressive, doesn’t it? 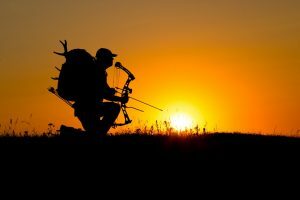 But nothing can ever bring out the urge to hunt, in you, like the conventional crossbow and arrow. The rugged style and easy grace of Robin Hood bring out the adrenaline rush no gun can ever bring! 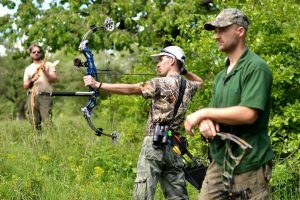 With the latest advancements in technology and the recent influx of the precision guns and weapons, the crossbows aren’t a notch behind. Manufacturers vigilantly introduce new upgraded models every year with additional features and better specifications that make the bow better equipped to meet all the requirements of the changing times. 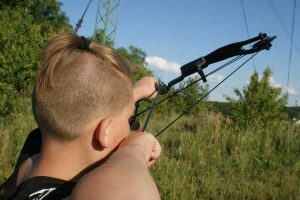 Today the crossbows are fast, accurate and designed to match the archer’s style and needs.While there are a number of sizes, shapes, designs, and types of bows in the markets today, the most important aspects are the speed and range of the bows. Although you’ll find a number of crossbows that catch your eye, the CenterPoint Specialist XL 370 Camo is an excellent choice for archers; especially for those looking for a starter crossbow to get the game on. It’s a high quality, fast and accurate scope it is one compact sized crossbow that makes it great for carrying around with ease. You are bound to have some good fun with this one; it comes with noise suppressing string stoppers and an auto-safety trigger to name a few of its features. Apart from the amazing strength and speed, the crossbow is really customizable you can adjust the foregrip and cheek to suit your height and weight. 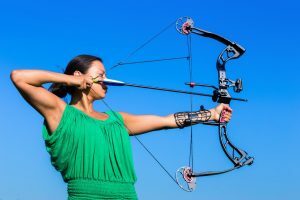 There’s no way a shot would ever wander off the target this way, and you can enhance your archery skills to a supreme level. The CenterPoint Specialist XL 370 Camo is one compact and really fast crossbow. Really stylish and great in terms of quality, the crossbow has a steady grip, thanks to the polymer bolt-ons. The great thing about it is that the entire assembly fits perfectly. 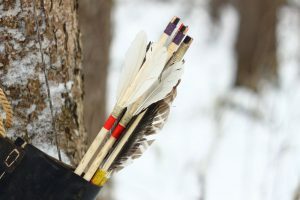 The quiver—adjustable as it is —mounts so well, you’ll instantly feel comfortable with the bow in your hands. It is made from the machined aluminum that gives it a solid and durable construction. Plus the scope has fine aim points, so shooting gets a whole lot easier even for a beginner. The CenterPoint Specialist XL 370 Camo is the crossbow you need for intense and precise hunting or practice. The crossbow is packed with all the features you need to shoot with accuracy and never miss a shot. It is lasting, high quality, and doesn’t startle the animals, thanks to the noise suppressing string stops. Plus the illuminated scope makes things a lot easier even in the dark.All you have to do is take the aim and pull the trigger, and the quiver goes speeding away at a 370 FPS straight off to the target. 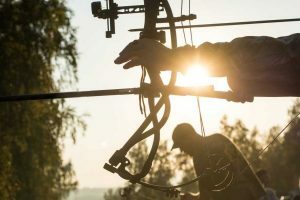 There may be hundreds of crossbows out there, but in the end, it all boils down to comfort and quality that makes a crossbow ideal for a great experience. The SA Sports Fever Crossbow appears quite similar in appearance to the CenterPoint Specialist XL 370. Both are compact, have a good scope with a resolution of 4 * 32 and come with a cocking rope to keep the noise under control, amongst a few of the basic features. However, when it comes to accuracy, there’s nothing that beats the CenterPoint Specialist XL 370. There are almost zero vibrations, so no shaky shots. In fact, with this, you can get the accuracy up to forty yards! The carbon bolts are strong and go well with hunting and target shooting both whereas the Sports Fever Crossbow does not have quality bolts. 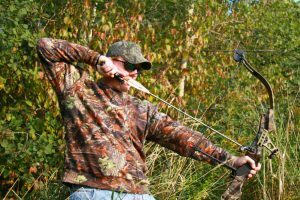 They may even break after a few times of practice, so you may have to look for other compatible options for your crossbow. Also, it requires stringing while assembling, while the CenterPoint Specialist is really easy to assemble. Even if you are a beginner, you can get it right with the help of the manual and instructions. If we consider the scope, the SA scope is not quite clear. The image is often seen to have a sort of wobble about it and that greatly affects the precision when aiming for the shot. Now that is something you cannot compromise on when hunting.Plus, it also doesn’t have the illumination and other dim lighting capabilities like the CenterPoint Specialist. The SA sports fever crossbow is great for beginners weighs about five pounds, so you can just fling it across the shoulder and carry it around with ease.It has a draw of 175 pounds and the speed of 240 FPS whereas the fast CenterPoint can give you a high speed of 370 FPS. So be it a deer or turkey, this one’s got you covered. In a nutshell, the SA sports may be good as a starter kit. However, sooner or later you will have to think of a new crossbow with the accuracy you need for hunting. While the CenterPoint Specialist XL 370 has a high level of accuracy and is fun to use and that makes it great for starters as well as pros. The CenterPoint Specialist XL 370 is literally the best crossbow for beginners or for those looking for taking a sleek shot every time. The crossbow is amazingly fast, accurate and makes hunting all the more fun with style. So the next time you head out into the wildlife, make sure to take this crossbow along. Whether it’s a boar or a bird you seek, look them straight in the eye and take them down without a sound! 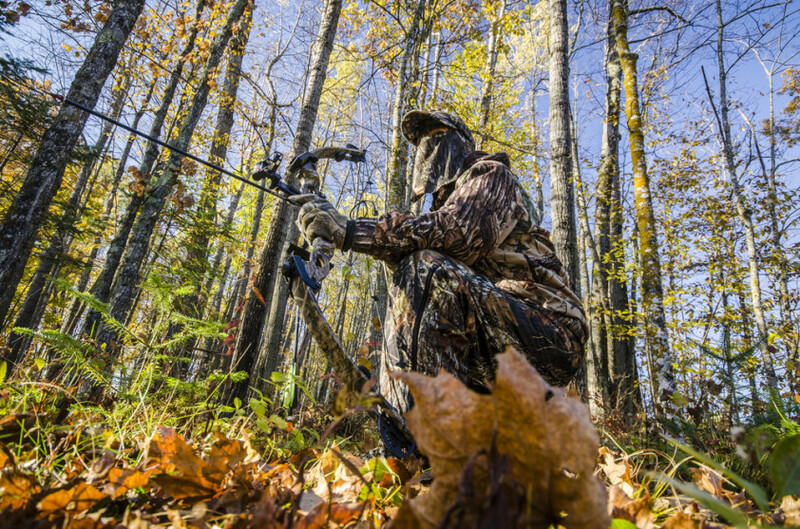 Compound Bow 50-70 From Leader Accessories – What True Archers Need!